THE START OF SOMETHING BIG Laney Rickman shows off her original birds - Luna the Half-moon Conure, and Sam the Scarlet Macaw. Fast-forward 10 years or so, Laney was working as an executive at The Houston Post when a friend gave her a little bird. Laney wanted to learn more about birds, so she started volunteering at the Houston Zoo on weekends. 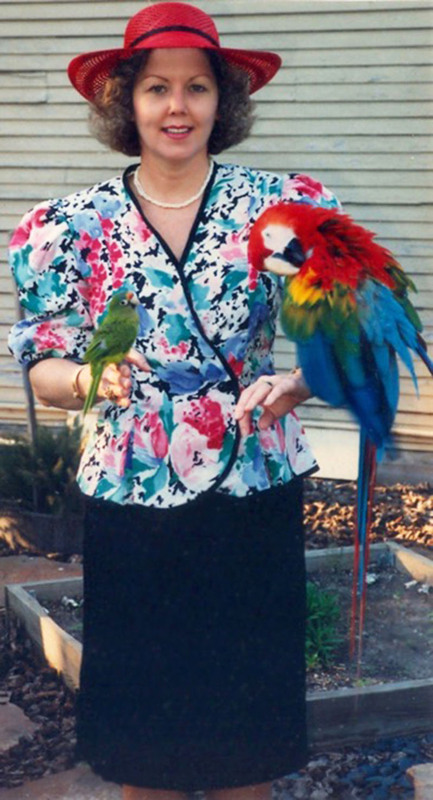 Next thing she knew, she had adopted a Scarlet Macaw named Sam, whose owner had gotten too old to care for her. So began a fascination with birds – particularly the near-extinct Blue-throated Macaws (the Houston Zoo had a pair). BLUE BEAUTIES A pari of Blue-throated Macaws on one of the artificial nest boxes on the Laney Rickman Reserve in Bolivia. In 2006, Laney attended a conference in Spain, where she met people who were working in Bolivia with artificial nest boxes for the Blue-throated Macaws, which were only discovered in the wild in the 1990s. 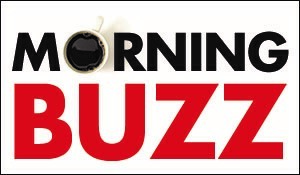 “She was so excited, she began a nonprofit called The Bird Endowment, which she eventually used to send money to Bolivia to sponsor nest boxes. In 12 breeding seasons, 76 babies have fledged from the nest boxes. 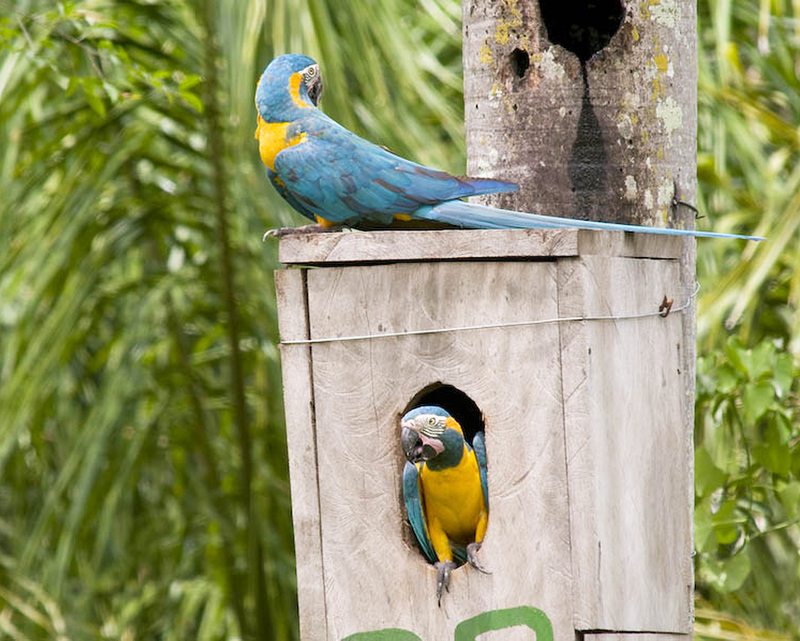 Prior to the artificial nest boxes, there were only 200 – 300 Blue-throated Macaws in the wild. 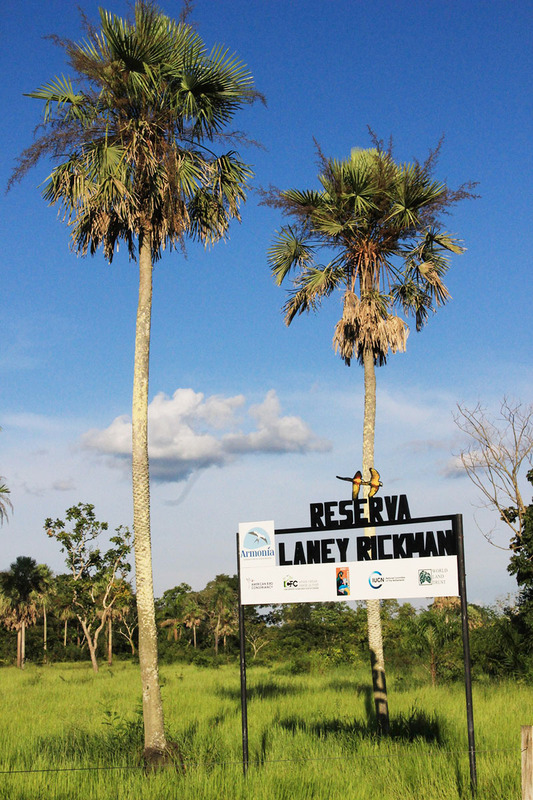 A LASTING LEGACY The entrance to the newly dedicated Laney Rickman Reserve in Bolivia. Dorothy becomes emotional talking about the success of Laney’s nonprofit. “My tears come from this deep respect and admiration for what my sister was able to do,” Dorothy says. “People described her as the perfect bridge, this incredibly warm person who could communicate with all different sides of conservationists, bird breeders, bird pet owners, zoos. It was this integration of a lot of passion. About the same time of Laney’s death, a ranch in Bolivia, where 55 fledgling birds had been born in nest boxes, came up for sale. Several nonprofits joined to purchase the property, and in August of last year they dedicated the new Laney Rickman Blue-throated Macaw Preserve. 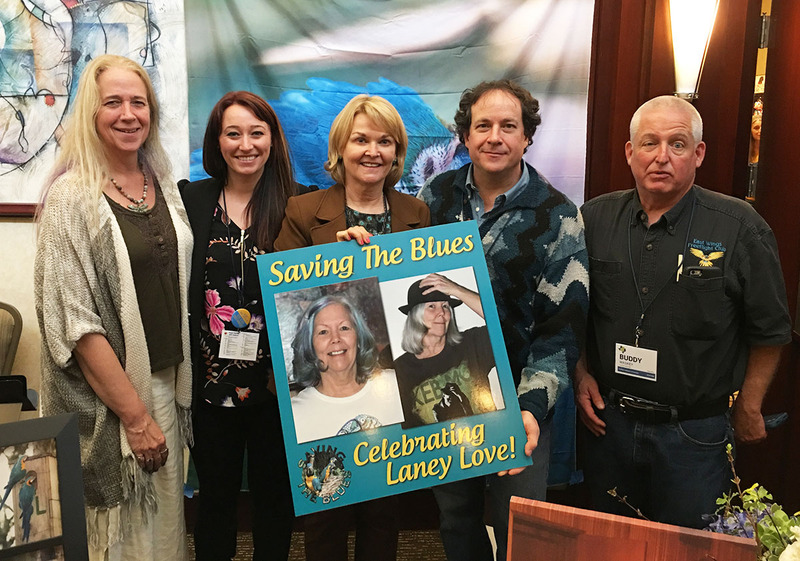 TRIBUTE In January of last year, about four months after her sister Laney Rickman passed away, Dorothy Paterson (center) and her daughter Audrey (second from left) attended the National Parrot Rescue and Preservation Foundation conference with: friend Robin Showakis (far left); Bennet Hennessey (second from right), who works with Asociación Armonía in Bolivia saving the Blue-throated Macaws; and friend Lewis "Buddy" Waskey (far right). Recently, an anonymous friend offered to match all donations to the Laney Rickman Blue-throated Macaw Fund up to $100,000, on April 15 – Laney’s birthday. The money will be invested and interest will ensure that programs are sustainable far into the future. To donate, see the Laney Rickman Blue-throated Macaw Fund.